Medjet - the industry leader in air medical transport and crisis response memberships for travelers - launched a new, limited-time offer of short-term MedjetHorizon memberships, just in time for the winter games in Pyeongchang. The decision was in response to an increase in inquiries for its elevated travel security and crisis response membership option, MedjetHorizon, as well as the U.S. State Department's new travel advisory system. Although travelers have long had the option of purchasing short-term MedjetAssist memberships, which include air medical transport and repatriation services, this is the first time the company has offered its MedjetHorizon memberships on a short-term basis, giving travelers the added security of crisis response in the event of terrorism, political threat, hijacking and other threats. "In light of the current global climate, including increased tensions in the region in the lead-up to next month's games in South Korea, we are keenly aware of a sense of nervousness among travelers about their security while traveling internationally," says Medjet CEO and President, Roy Berger. "As part of our ongoing commitment to providing our members with the most relevant and timely travel safety protections, we decided to offer those planning travel over the next month the special option of a short-term MedjetHorizon membership." 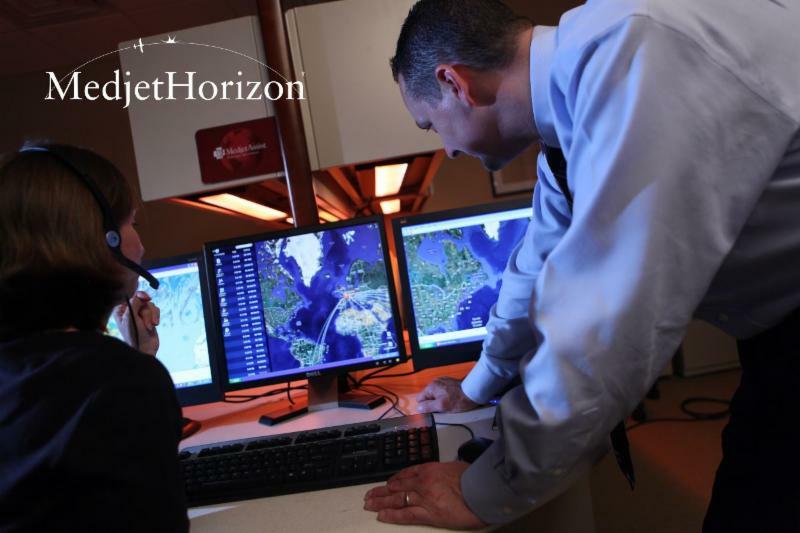 Medjet is the industry leader in travel protection and medical transport, forging a global network of air medical transport affiliates and security providers over the past 26 years. At any given time, Medjet has access to more than 250 private air ambulances and commercial medical escorts, as well as specially trained emergency medical and security personnel, ready to launch from both domestic and international locations 24/7. The company most notably differentiates from other players in the market through its commitment to arrange air medical transfer to the member's home country hospital of choice (not just "nearest acceptable"), regardless of medical necessity. Similarly, unlike other travel security and response membership programs, the company's MedjetHorizon option does not rely on hard triggers, such as government-issued evacuation orders, to act on behalf of members. The Coastal Housing Coalition presents the 5th Annual 2018 Annual Santa Barbara Housing Conference on Friday, May 18, 2018 – 8:30 – 3:30 p.m. at the historic Carrillo Recreation Center, 100 E. Carrillo Street in Santa Barbara. The Coastal Housing Coalition is a non profit organization founded in 2005 that is dedicated to finding solutions to the South Coast’s housing crisis and reversing the adverse impacts of the lack of workforce housing is having on our economy, environment, and civic life. Once again this popular conference will feature lots of networking, dynamic keynote speaker, educational workshops, exhibits, and panel discussion on timely housing topics and issues. Breakfast, lunch and a post-conference wine & beer reception are included. Up to 250 attendees, including housing providers, developers, business and government leaders, non-profits, architects, real estate professionals, financial institution managers, elected officials, employers, and interested community members will attend this typically sold-out event. This year’s keynote speaker is California State Senator Scott Wiener. Senator Wiener authored Senate Bill 35 – The Housing Accountability and Affordability Act -- which creates a streamlined approval process for housing when cities are not meeting the housing creation goals required by the Regional Housing Needs Assessment (RHNA), which will expedite the construction of affordable housing in California. The bill was central to a broad housing package that is anticipated to make it easier to build housing. In the State Senate, Wiener works to make housing more affordable by confronting California’s severe housing shortage; to invest in transportation systems, including improving and expanding public transportation systems; to increase access to healthcare, and to support working families. 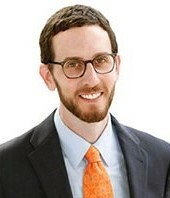 Elected in November 2016, Senator Scott Wiener represents District 11 in San Francisco in the California State Senate. Previously he served on the San Francisco Board of Supervisors and as a Deputy City Attorney in the San Francisco City Attorney's Office. Wiener received a Bachelor’s degree from Duke University and a law degree from Harvard Law School. For more info, to register or purchase a sponsorship visit .https://www.brownpapertickets.com/event/3209664 or www.coastalhousingcoalition.org, email conference@coastalhousing.org, or phone (805) 570-1250. Join the Alzheimer's Association, California Central Chapter for the Fourth Annual 'A Swing to Remember' Golf Tournament on Saturday, April 14 at the exclusive Alisal Guest Ranch & Resort in Solvang! Registration is now open at act.alz.org/swing through Monday, March 26. Sponsorships are also available! Not only does psoriatic arthritis often go undetected, but its symptoms can also mimic other conditions, making it tricky to diagnosis. By some estimates, up to half of psoriasis patients have undiagnosed PsA. If someone with psoriasis complains of chronic joint pain and stiffness, a rheumatologist might suspect PsA. But a doctor less familiar with it might think it’s rheumatoid arthritis, osteoarthritis or gout. If PsA symptoms like painful, swollen joints or stiffness appear before psoriasis, a doctor might suspect some other form of arthritis. To further complicate things, people with psoriasis CAN get other forms of arthritis. See how confusing it can be? Visit: www.arthritis.org for more information.